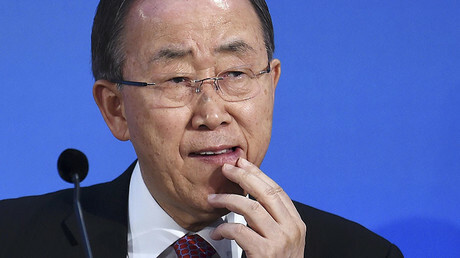 A US bribery case against two relatives of former UN chief Ban Ki-moon could thwart the diplomat’s expected bid for the South Korean presidency. Ban's brother and nephew are accused of bribing an official to push through the $800 million sale of a building in Vietnam. "Ban was greatly surprised by the news, which he learned from the media. He knows nothing about it," Ban's spokesman, Lee Do-woon, said. The former UN chief plans to travel through South Korea to speak to the public until late January as part of his anticipated presidential bid, the spokesman added. "What [Ban] needs to do is draw a line and say he has nothing to do with [the alleged improprieties],” Kim Sang-jin, professor of political science at Konkuk University, told Reuters. “He needs to be convincing in his explanation, otherwise people will start doubting him." "If he mishandles this, people will start thinking that he is too weak or isn't as clean as they thought he was," Kim added. The 39-page indictment, unveiled at a Manhattan courthouse on Tuesday, charges Manhattan real estate broker Joo Hyun ‘Dennis’ Bahn – Ban's nephew – and his father Ban Ki-sang, a senior executive in Keangnam Enterprises Co. Ltd, a South Korean construction company. According to US prosecutors, the international bribery scheme took place between March 2013 and May 2015, and involved the attempted sale of a commercial and residential complex owned by Keangnam Enterprises in the Vietnamese capital, Hanoi. The plot revolved around a bid to get an official from an undisclosed Middle Eastern country to acquire the lucrative property using a sovereign wealth fund. It also allegedly included an attempt to contact that undisclosed state’s leader while he was in New York City for the annual UN General Assembly, according to AFP. Among those charged is also US businessman Malcolm Harris, who reportedly presented himself as an agent of the Middle Eastern official. According to US prosecutors, Ban’s nephew and younger brother agreed to pay an initial bribe of some $500,000 wired from a South Korean account to an account in New York in April 2014. It was followed by a $2 million payment upon the closing of the sale. The indictment alleged that Bahn's father turned to his son for help when his construction company plunged into a liquidity crisis in 2013. According to AP, Bahn would earn a commission of at least $5 million if he could find an investor for the building complex in Hanoi, known as Landmark 72, which included a 72-story commercial office building – then the tallest in the Indochina Peninsula. It had cost Keangnam Enterprises over $1 billion to construct. Prosecutors said that Bahn, 38, made Keangnam Enterprises and its creditors think that the Vietnam complex was just about to be purchased. When the sale never materialized, the construction firm was forced to enter court receivership in South Korea, AP reported, citing the indictment. Bahn has been accused of paying a $500,000 bribe to a local businessman, forging documents and stealing over $200,000 from one of his clients. Assistant US Attorney Daniel Noble said a nine-count indictment included charges that Bahn violated the Foreign Corrupt Practices Act, engaged in money laundering and committed wire fraud, which could result in a prison sentence of up to 10 years. "He's a liar. He is a master of deceit and we believe poses a very high risk of flight," Noble said while concluding his case. The prosecutor said that after his arrest, Bahn made incriminating statements to FBI agents about the case. Bahn, who has lived in the New York area for the past 18 years, having attained lawful permanent resident status, has been released on bail. His defense lawyer, Julia Gatto, said her client – who also teaches undergraduate students at New York University – needed to prepare for the start of classes later this month. 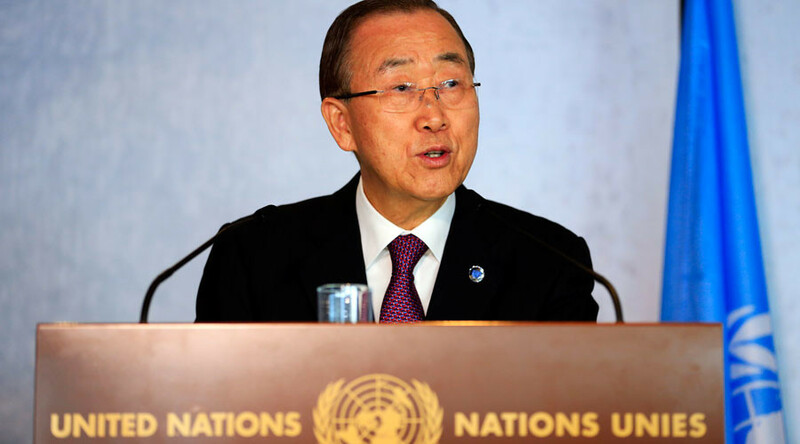 Although Ban Ki-moon has not yet declared his candidacy for the South Korean presidency, the 72-year-old has had a team laying groundwork in Seoul ahead of his arrival to the capital this week, according to Reuters. 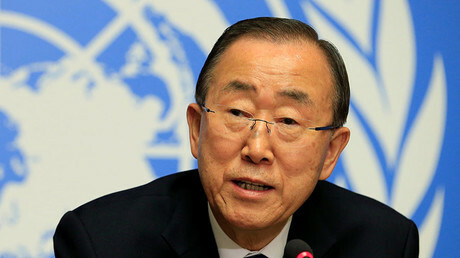 Ban served as UN secretary-general from 2007 until 2016, and as South Korea’s foreign minister from 2004 to 2006. Prior to the current scandal, he was widely seen as a shoo-in to be South Korea’s next president. South Korea could face an early election following parliament's recent impeachment of President Park Geun-hye in an influence-peddling scandal.